I would recommend that you print this page out so you can refer to it later. 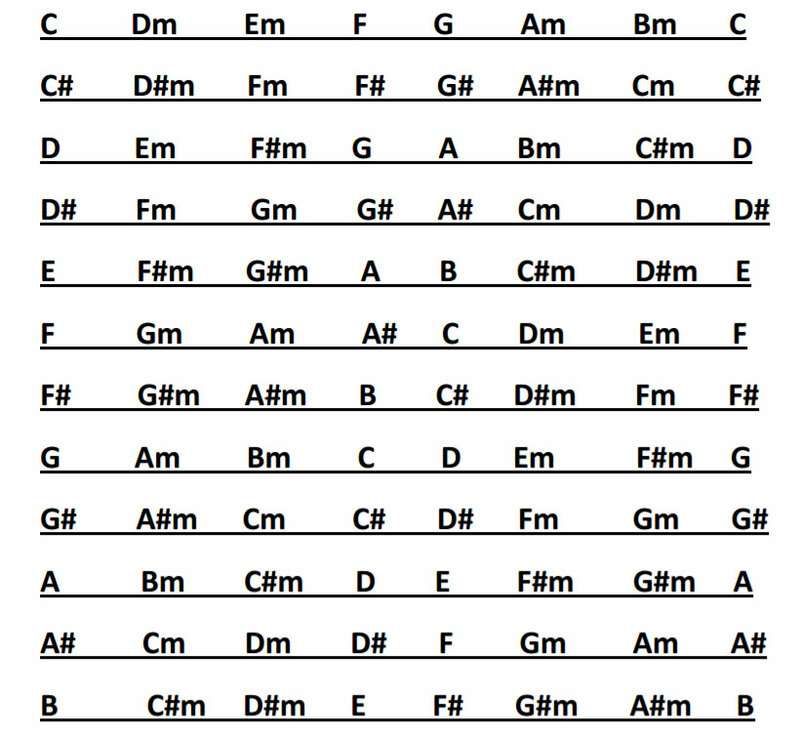 If you really get into the ins and outs of scales and want to know how ALL of it works, you’re going to need a hard copy of this page. 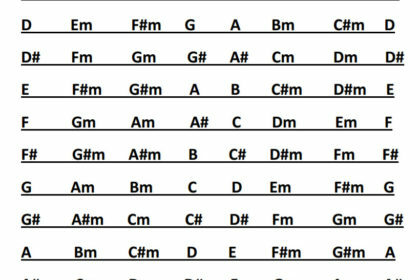 All music uses a key which is made up of a scale within which are the chords that are used to provide rhythm. 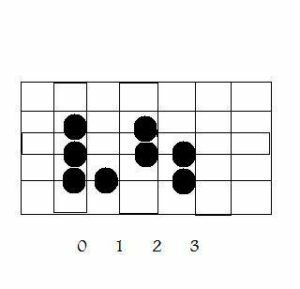 The guitar is perfect for this because once you have learned the pattern for a scale you have learned the pattern for all twelve scales. So there is no need to learn all of the scales as you would if you were playing keyboard, since the same pattern is used for all 12 keys; it’s just moved to another place on the neck. 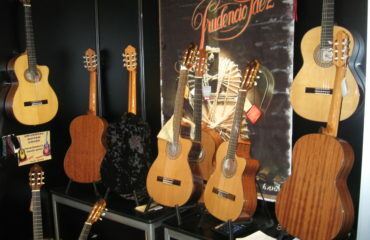 For example if you were playing in the key of A you would use a pattern on the 5th fret. All the scales are made with the following finger patterns.